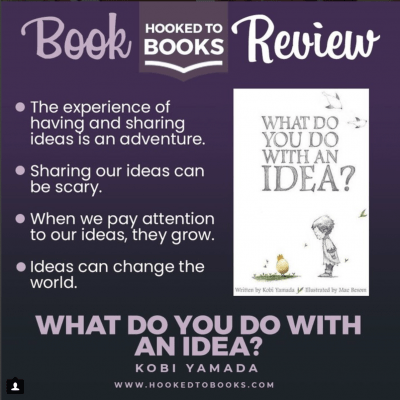 You’ve landed on the Hooked to Books page specifically crafted to help you submit an Insta-Review. We created this page to make things super-simple for you. If your book review submission is accepted and published, we’ll send you $3 via PayPal. It’s that easy. We know it’s not cool to judge books by their covers. But to keep Hooked to Books fun, fresh and inspiring for you—our readers—we recently refreshed it with a new cover (aka site makeover). Even cooler—we just joined Instagram! To get you pumped up for our new look, we’re announcing HTB’s Instagram Insta-Reviews contest. Want to share your thoughts on your latest amazingly awesome read? You’re in luck! We’ll share it on our Instagram, and other social media. You’ll share it too and tag @hookedtobooks.co! Ready? Let’s go! Use the button below to get started. If you can, please send us BOTH of these, but if you’re reviewing a fictional storybook that can be challenging. It’s ok. Just pick one or the other in that case. The Five (5) Main Ideas: Present a bullet-point list of 5 items that present the main ideas of the book you’re reviewing. Thanks for being a contributor!